As the fifth installment in the Conjuring Universe franchise, The Nun, hit the theatres worldwide last week, the poster of the film created quite a buzz. The poster showing the half face of a woman and half of a demon looks spooky and ended up giving meme enthusiasts the perfect fodder. As the poster took over the internet, many social media users exhaustively photoshopped it to share with funny combinations. 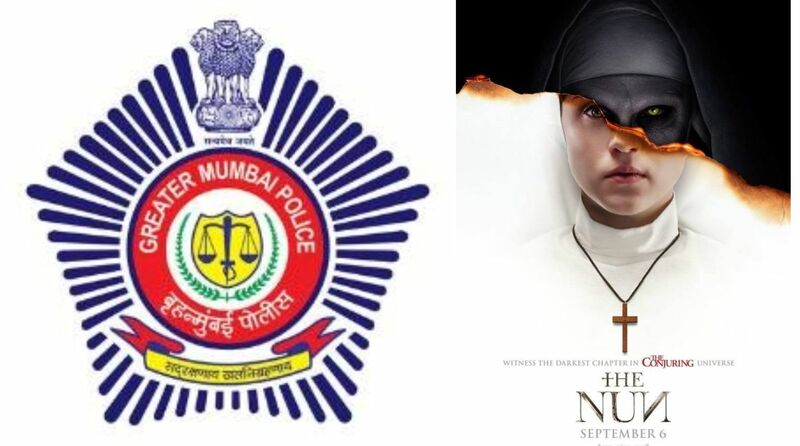 The Mumbai Police’s Twitter handle, which is quite active, too joined the bandwagon posting funny and witty memes using The Nun poster. Making a clever use of the viral meme, they shared a picture of the poster on Twitter showcasing a ‘No-Parking Zone’ sign on the face of the woman in the photograph.